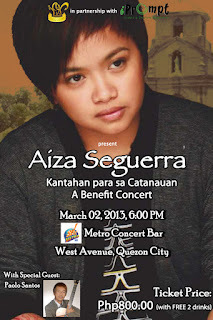 Catch Aiza Seguerra live in concert for the benefit of the Immaculate Conception Parish, Catanauan, Quezon, with special guest, Paolo Santos. Ticket is P800 (with 2 free drinks), discounts apply for bulk reservations. 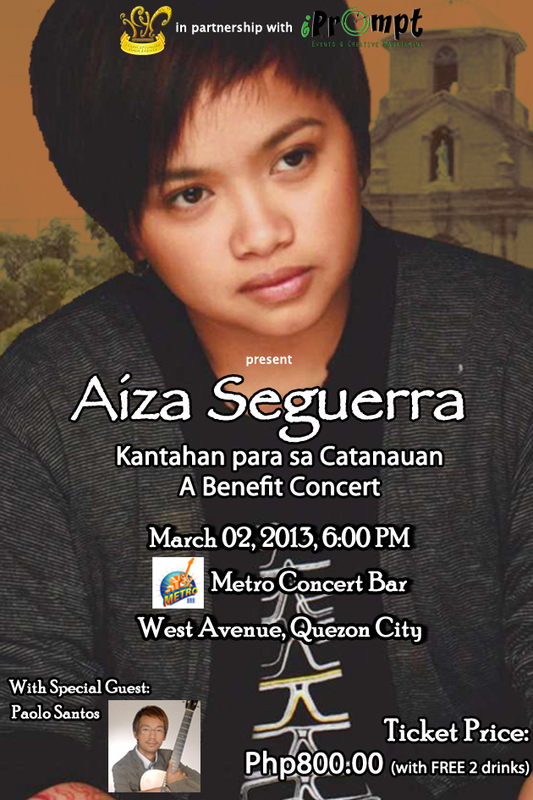 This event is on March 2, 2013 6PM at Metro Bar, West Avenue, Quezon City.